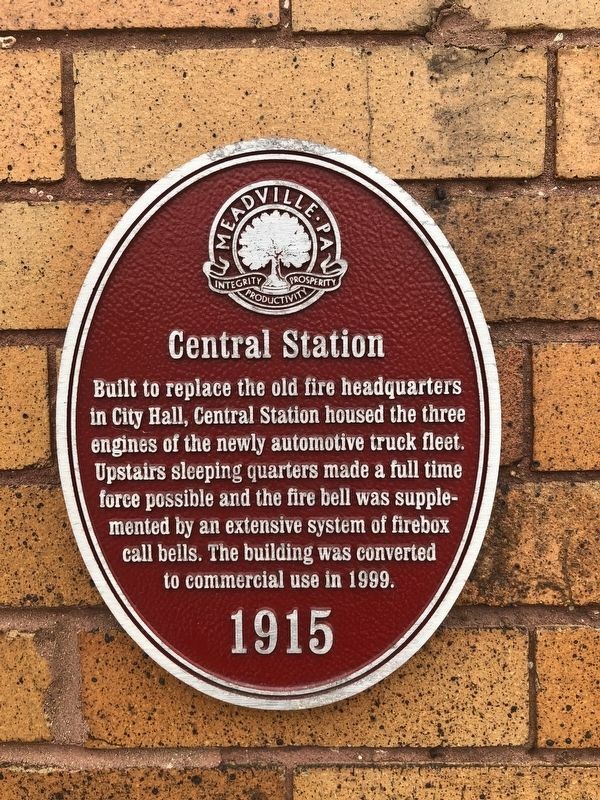 Built to replace the old fire headquarters in City Hall, Central Station housed the three engines of the newly automotive truck fleet. Upstairs sleeping quarters made a full time force possible and the fire bell was supplemented by an extensive system of firebox call bells. The building was converted to commercial use in 1999. Location. 41° 38.36′ N, 80° 9.124′ W. Marker is in Meadville, Pennsylvania, in Crawford County. Marker is at the intersection of Park Avenue and West Center Street, on the right when traveling north on Park Avenue. Touch for map. Marker is at or near this postal address: 875 Park Avenue, Meadville PA 16335, United States of America. Touch for directions. 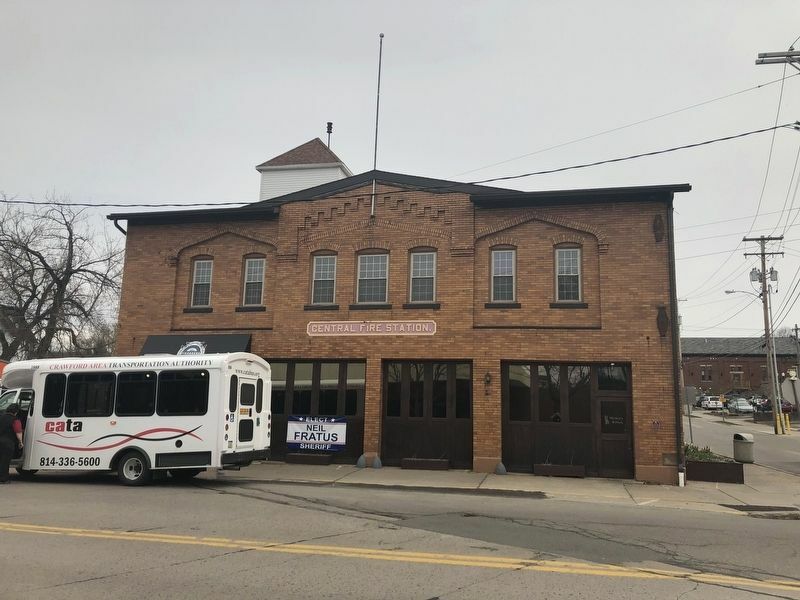 (about 400 feet away); Historic District (about 500 feet away); Meadville Market House (about 500 feet away). Touch for a list and map of all markers in Meadville. More. Search the internet for Central Station.